Hybridity refers to any object that crosses a conceptual divide. The term is remarkably general and used to investigate the nature of the divide as well as the form of linkages that make the cross. One of the most famous (and relevant to me) is the separation between nature and culture. While there are many scholars that argue that no such divide exists, modern society still likes to separate the human from the habitat. Examples of important hybrid objects to nature-society relations are elk, water, forests, particular mountains, and really anything natural that has importance to society. Perhaps the most important reason to know about hybrid objects is to be able to recognize them. Some scholars say that investigation of hybrids is the only way to understand the complicated relation between binaries such as nature and society – an understanding necessary for goals such as conservation. Another distinct benefit is that recognizing the hybrid nature of and object provides the ability to also recognize the many aspects of said object. Reversing this logic, understanding how hybrid objects are constructed and function may allow creation of new, interesting and important objects, often from the deepest parts of the imagination. 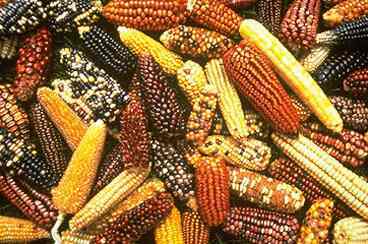 Hybrid corn might not be the most fun example, but it serves as a politically charged one. Genetic hybrids can be wild and wonderful as well. In the case of hybrid corn, farmers have taken traditional American maize that has traits to survive well in the fertile plains with varieties that produce consistent, sugary kernels fit for mechanization. The solution to mechanizing a corn field (therefore providing cheap food for the masses, in theory) has been to produce a hybrid each year with some incredible capabilities like growing two inches apart from its neighbors and producing absolutely identical, easy to harvest ears. The term for such amazingness is hybrid vigor or heterosis. In order to make consistent amazing corn, breeders have to create the hybrid each year for purchase by farmers who cover 95% of our corn cropland with the hybrids each year (this history is one of agricultural legend). If the farmers save the seed, the original less amazing parental genotypes reappear. Moving up in scale, the chimera is a type of hybrid in which tissue from two different genetic stock is combined. This can happen in the womb between two fertilized eggs naturally, or can be created for research or agriculture. Common examples include self-pollinating fruit trees for backyard gardeners in which a branch of male tree is grafted onto a female tree in order to provide sperm for the female flowers. This is also how particular hybrid varieties of fruit are maintained – male branch of one variety grafted onto the female of a different is a sure way to consistently produce an especially tasty variety of apple, orange, or the more inventive pluot. 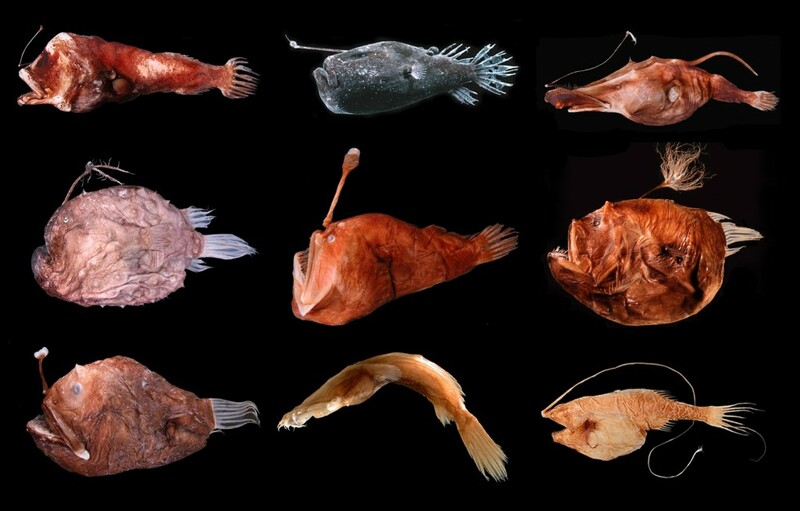 For a fun marine-related example that blends the male and female, take the ceratid anglerfish. The male bites on to the female upon finding its mate and eventually the two bodies merge. The male is then permanently attached as a parasite providing sperm to the female while the female goes about her business. The strategy ensures the female can always find her mate in the sparsely populated deep sea and also tricked scientist, who first described the species as being entirely female. The term is short for cybernetic organism, or a cross between mechanical and organic life. While the term usually brings to mind science fiction like the Terminator and Doctor Who’s Cybermen villains, in real life the term often refers to prosthetics and DNA computing. Prosthetic limbs and more complicated organs such as eyeballs and hearts, can interface with mechanical substitutes with careful pairing of a person’s nervous system and the synthetic organ. Today’s models aren’t perfect, but the idea means that someday, losing an arm or an eye might not be such a life-changing event. Computing also brings interesting interfaces, like the brain-computer interface that takes advantage of computers to create missing links in a neural pathway. Examples include cochlear implants, prosthetic arms and legs, and speech computers. The interface is usually primarily human, repairing injuries or birth defects by taking advantage of the brain’s plasticity in order to re-route brain power and control to something that will make the patient’s life a little easier. Resting on the premise that humans are still more complex and efficient than computers, the idea gets more small-scale in DNA computing, integrating at the DNA level by using DNA instead of silicon as a processor. Social cyborgs can also refer to something built, such as a city, that pulls the aspects of individual behavior into something larger, pairing styles of organization. When an institution begins to take on “a life of its own”, it becomes falls under the category of cyborgs. 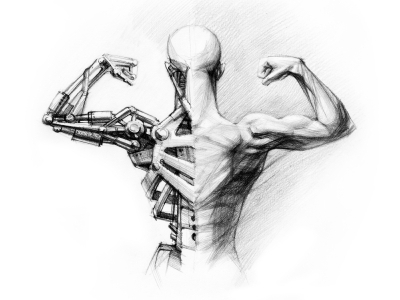 For further explanation and examples here, take a look at Cyborgology, written by sociologists who study modern examples of social cyborgs and what they mean for modern society. They have recently written about Facebook, Google, and the movie Tron.